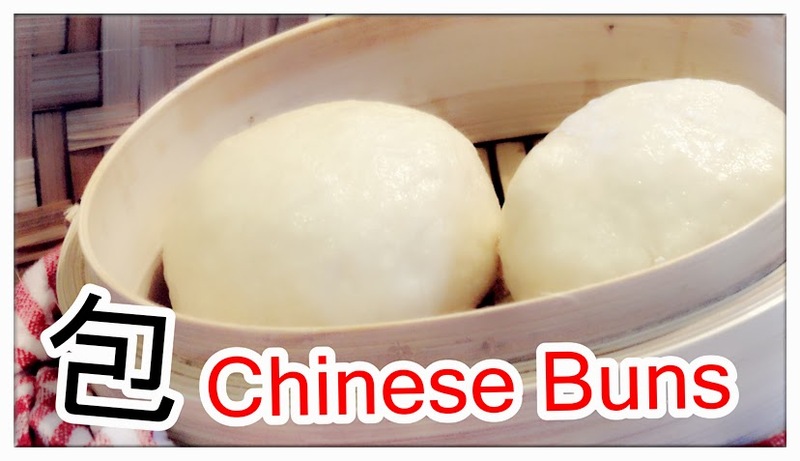 It depends on how much you want to make the buns, 4 large or 8 medium to small sized steamed buns, it's up to you. 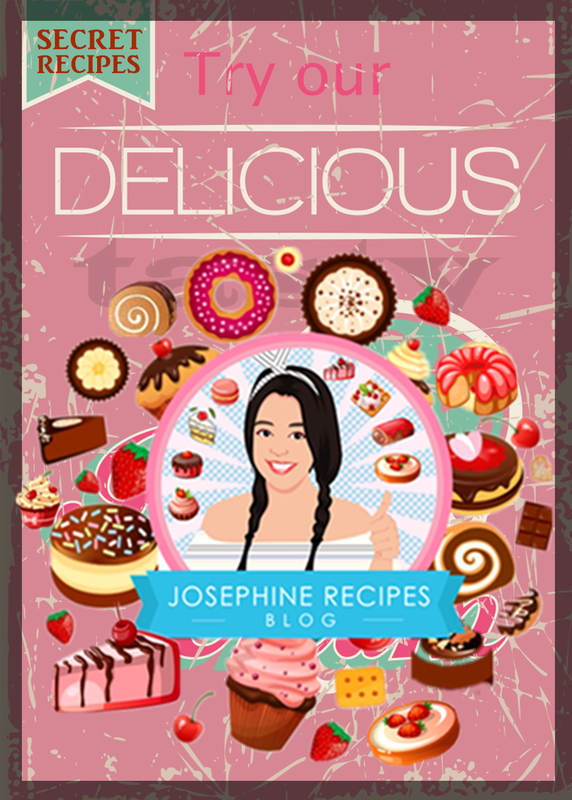 Just follow this step-by-step recipe carefully and make your own Happiness is Homemade. You’ll be rewarded with comforting, super soft, fluffy, chewy and tasty Chinese steamed buns. Smile. Cook. Eat. Love » be delicious! 1) Pour a glass of cold milk and put the milk in a microwave to heat it up about 26 seconds. 2) In a large bowl, add plain flour, 3 teaspoon of sugar, 2 teaspoon oil. Add the (1) yeast mixture to the flour and mix together with your spoon. well for 5 minutes. Covered with a plastic wrap and wet clothes. The fermentation usually takes about an hour, winter time is should be takes more longer. The dough should rise until it is puffy, and double or triple in sized. 1) Heat the butter in a middle large saucepan over low heat, Add diced sweet potatoes and slowly cook until soft. 2) Add 4 tbsp milk powder, 2tbsp brown sugar, and 2 tbsp condensed milk, stirring and well blended. To boil over medium low heat and Simmer until soft or about 35 minutes. It's depends how large you cut your sweet potatoes into chunks. 3) Remove from heat, set aside and leave to cool in the refrigerator or if you want the ‘’filling paste’’came out super smooth, you can pour into a blender and puree until smooth. portion into a thin circle.Shape each in round balls, then roll into a circle with a rolling pin, with edges thinner than the middle.Wrap a spoonful ‘’filling’’ inside, pinch seam tightly. 2) Place on a greased baking sheet and turn up the edges of the base. Transfer to a steamer, covered for 5 minutes. 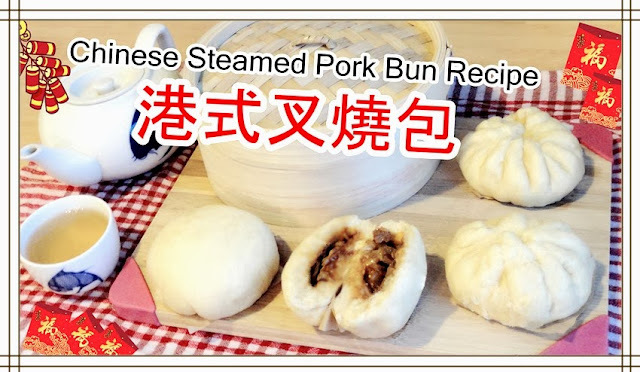 3) Add cold water into steamer, steam buns over medium-high heat for 20 minutes. Rest another 5 minutes. 1) Everyone's microwave is different. PLEASE UNDERSTAND YOUR MICROWAVE! 2) For the warm milk, when you take the cold milk on your fridge, simply to put in microwave and heat for 26 to 30 seconds (Under 38°c). 3) That is so perfect to put the sugar and yeast together and sit in the oven should be under 38°c for 20 minutes or until bubbles arise. 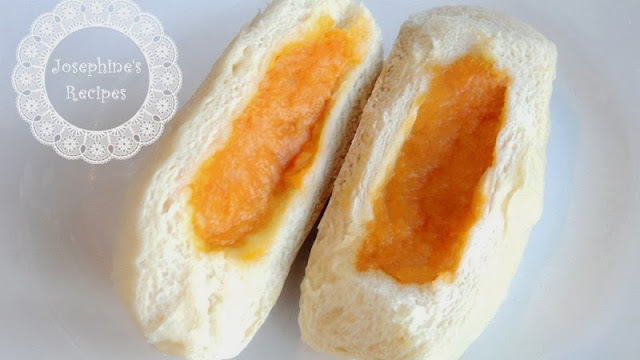 4) The dough can be used to make ‘’Mantou’’ for any shaped you like.It’s a kind of steamed bread. You must be try it and you know what I want to say is (Perfect). They are often served as part of any celebration even to celebrate something as simple as a beautiful day. until your egg whites is ready. (the whites are whipped separately, see (B) and folded. B) Whisk egg whites and sugar in another bowl until soft peak is formed. Add egg yolk mixture and beat well. C) Pour cake mixture into your cheese cake pan and place them in a large baking dishes. Pour enough hot water for water bath. Preheat oven to 180c, Bake for 1 hour 30 minutes, or until a chopstick inserted comes out clean. Uncovered or cover with the aluminium foil is just up to you. If you uncovered, then your top should be golden brown. (D) Remove the cake from oven, let cool and chill for at least 3 hours before serving. 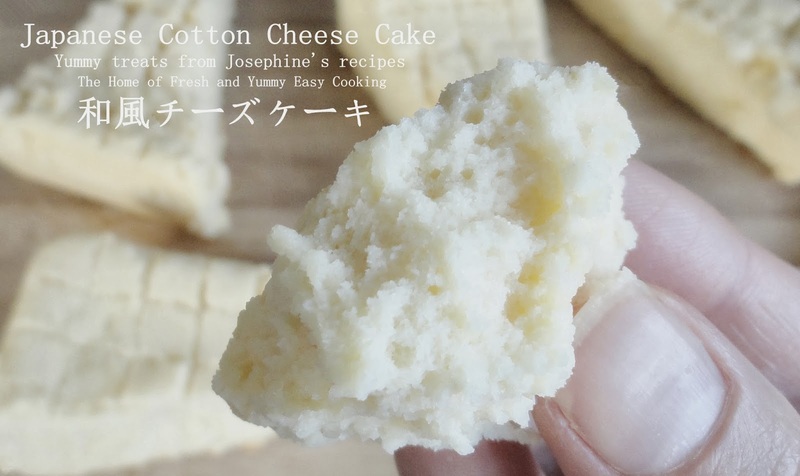 I have always eaten my cheese cake cold and of course you can warm them quickly using the microwave or oven. Day 2, you can preheat the oven to 180c degrees, re-bake without the aluminium foil, and your top will become golden brown and more flavourful, light, soft, textures, and fluffy. If your cream cheese has been in the freezer: heat the cream cheese, milk in a saucepan over low heat until completely dissolved. Remove the heat, add in sugar, plain and corn flour, stirring and gently well blended. 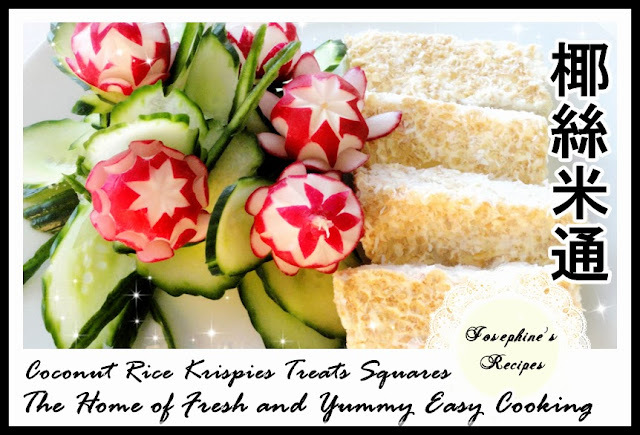 Rice Krispies Treats has become so popular amongst children and adults alike, this deliciously sweet favourite is a treat for all seasons. 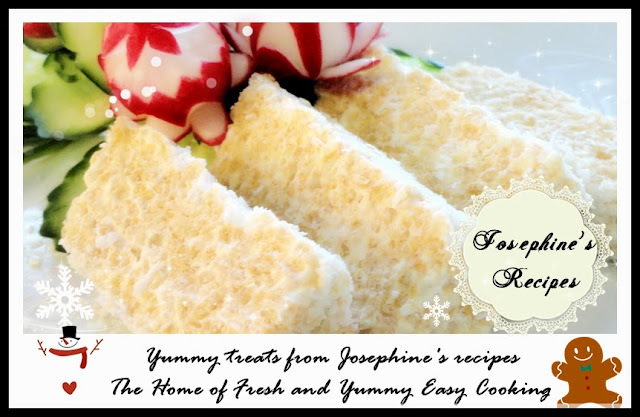 Just mix together rice krispies with melted butter and marshmallows and the best part is that both children and adults love this crunchy bites, with its sweet, coconut flavour and crispy texture. 1) Heat the butter in a middle large saucepan over low heat, add marshmallows and stir until melted. stirring, and well blended. 4) Pour the mixtures in dishes, and put the second layer, sprinkle of shredded coconut, and a pinch of toasted sesame seeds over the top. 5) using a buttered spatula, press the mixture across the dishes evenly and firmly. Set aside and leave to cool. cut into squares. light, soft fluffy and milky white rice dish. It's perfect without rice cooker! affectionately called '' 煲飯 Bo Fan '' in Cantonese. 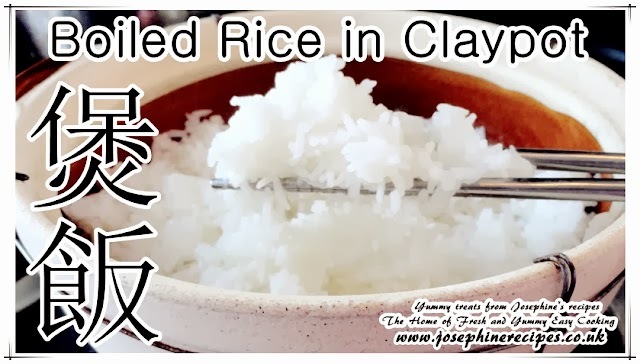 1) Wash 1 cup of rice until the water runs clear, drain and add 1 ½ cup of water, and cover claypot with lid. 2) Simmer the rice in medium low heat until it is almost cooked, about 30 minutes. 3) Turn off the stove, keep warm for slow cook another 5 minutes, fluffy with a fork just before serving. Prepare one litre white casserole dish with glass lid. 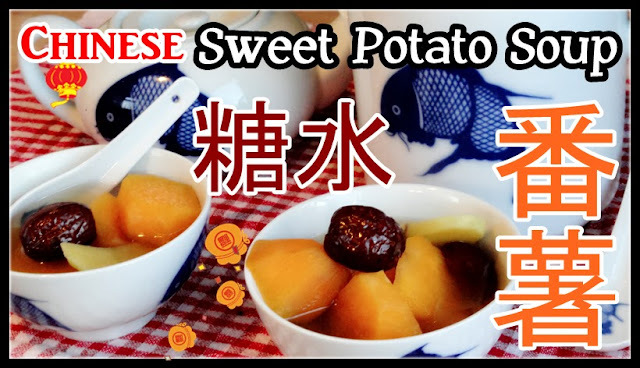 2 large sweet potatoes, 1 ½ Chinese brown sugar and 3 cups water. To boil over medium low heat and Simmer about half hour. It's depends how large you cut your sweet potatoes into chunks. One of our childhood favourite bao is Chinese Steamed Buns filled with barbequed pork and is very popular dishes in dim sum restaurants from all around the world. Add 1 teaspoon of sugar and yeast mix well, sit in the oven (26°c degrees) for about 20 minutes until bubbles arise. 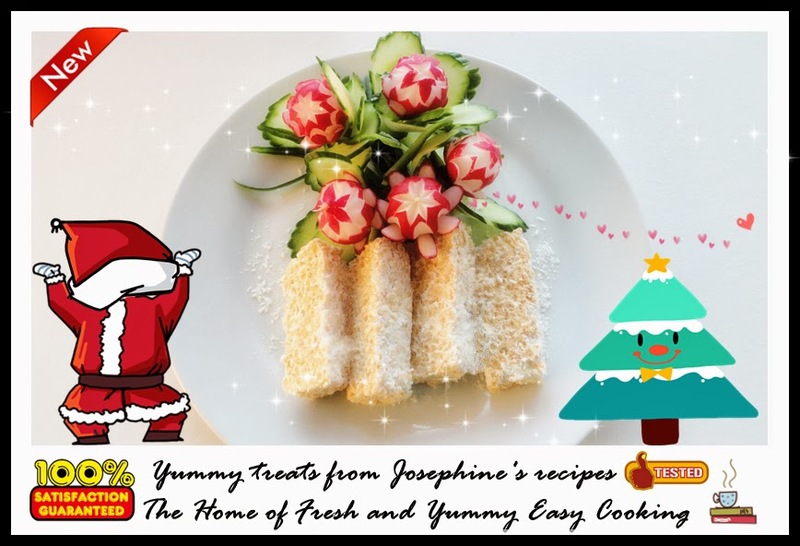 2) In a large bowl, add plain flour, 3 teaspoon of sugar, 2 teaspoon oil, add the (1) yeast mixture to the flour and mix together with your spoon. 3) Transfer the soft and sticky dough on a clean, floured work surface then knead well for 5 minutes. covered with a plastic wrap or wet clothes.The fermentation usually takes about an hour, winter time is should be takes more longer. The dough should rise until it is puffy, and double or triple in sized. 4) Cut into 5 pieces, roll each piece of dough into a ball, then roll it up like a snail, and roll each portion into a thin circle. Shape each in round balls, then roll into a circle with a rolling pin, with edges thinner than the middle. Wrap a spoonful filling inside, pinch seam tightly. Place on a greased baking sheet and turn up the edges of the base. 5) Transfer to a steamer, covered for 5 minutes. Add cold water into steamer, steam buns over medium-high heat for 20 minutes rest another 5 minutes. 2) For the warm milk, when you take the cold milk on your fridge, simply to put in microwave and heat for 26 to 30 seconds (Under 38C). 3) That is so perfect to put the sugar and yeast together and sit in the oven 26 degrees for 20 minutes or until bubbles arise. 4) The dough can be used to make ‘’Mantou’’ for any shaped you like. It’s a kind of steamed bread. 5) Tips for freshly steamed buns: May be kept in the refrigerator two days; cover with foil or plastic wrap or place in plastic bag to freeze, plastic freezer wrap, or place in heavy-duty freezer bag. and replace it with the same amount of water. and they don't spoil easily at room temperature. 9) They would probably get too dry to eat before they spoil at room temp. This was one of my very favourite Chinese treats. 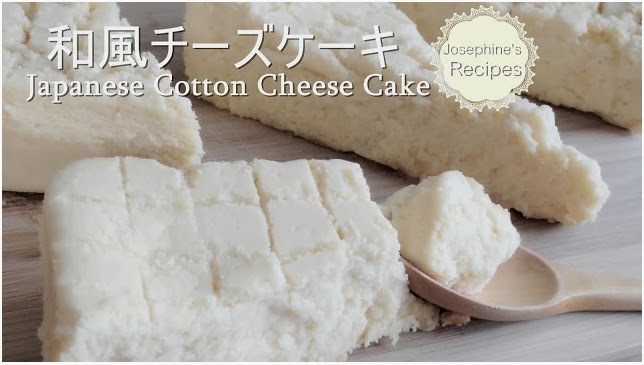 I love this cake so much, it's such a delicious, chewy, super soft, and can bring something sweet and happiness to yourself. A traditional dessert eaten during Chinese New Years is Nian Gao. 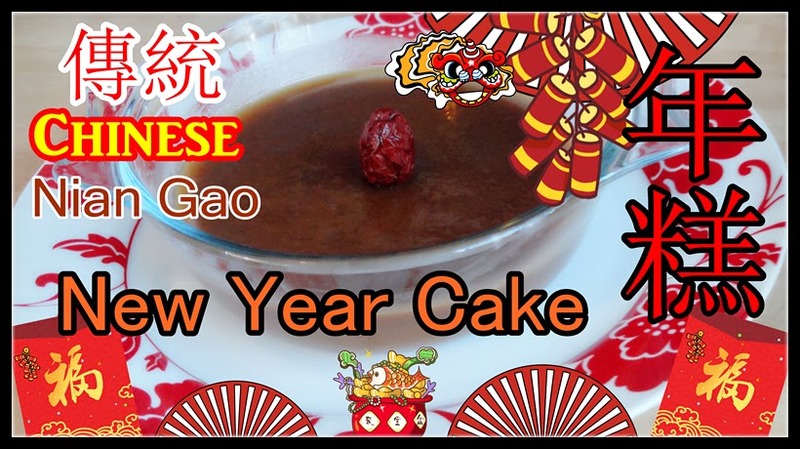 It meaning "sticky cake," which means something along the lines of "growing taller every year. "Similar to "a pinch to grow an inch," this is just used to wish the person good luck and good health in the New Year! 1) Pour a cup of water and bring to boil, Add 1 tbsp dark muscovado sugar and 1 piece brown sugar. Stir the sugar constantly over middle low heat until the sugar is completely dissolved. 2) In a large bowl, sift 1 cup of glutinous rice flour and add 1 cup of sugar water, an ideal temperature needs 65°c hot or until completely cool then add 1 tsp oil and stir until well combined. 3) Pour the mixture into the prepared greased casserole. Cover and steam over high heat for 30 minutes. 4) Remove the cake from the heat. Decorate with the remaining red dates on top. Serve immediately, or refrigerate overnight. Cut the cake into square pieces, reheat and serve the cake as is, or pan fried with eggs. when you reheat or pan fried. 2) If you are add 65°C, your batter should be thin, and watery. Just use a strainer which is helpful to strain out and make sure you've smooth batter. 4) Temperature of the sugar water will effect the batter, thin, watery and thick. Goods News | Grimsby telegraph recorded an interview with us for broadcast, thanks very much indeed! 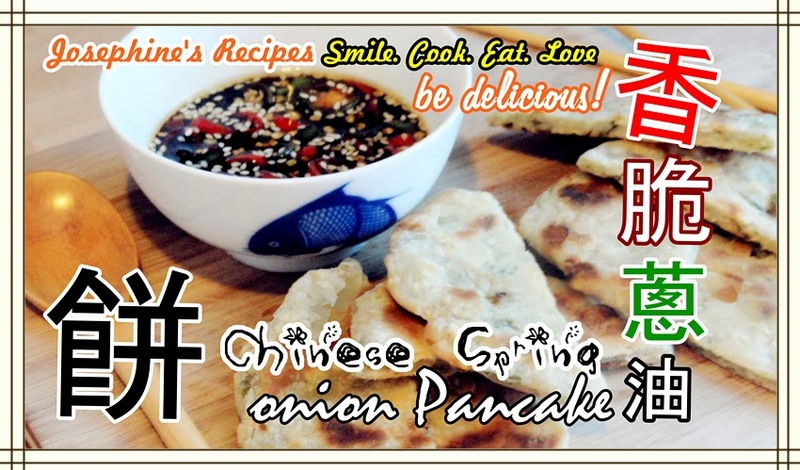 A traditional Chinese pancake are one of our very favourite morning treats! It’s perfect with dipping sauce and served with rice porridge, as part of dim sum as appetizers, and as street food. A great my own recipe, easy and produced A delicious traditional Chinese pancake, crisp on the outside, lovely chewy in the middle, and soft on the inside is definitely the way to go. It's amazing, though, to see the difference in texture depending on your skills. 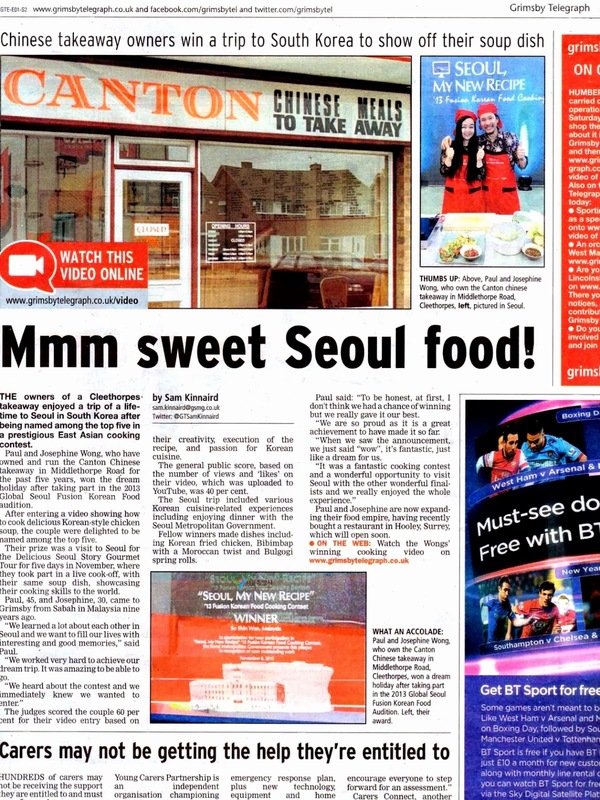 It tastes almost as good as what you get in the restaurant. 1) Wash and thinly slices onion. and 2 tablespoon of cold water. 3) Use a ‘’spoon’’ knead into a sticky dough until a smooth dough ball formed for about 5 minutes. 4) In another bowl, add 2tbsp sesame oil, transfer the dough into a lightly greased bowl, cover with a plastic wrap for 5 minutes, now, you have a moist dough and add in 2 tbsp toasted sesame seeds, 3 spring onion ( finely chopped ), 1 tsp salt. combine well and set aside at least 15 minutes or more. 5) Place a ball of dough on a well floured work surface and dust the rolling pin with some plain flour as you go, roll into a thin circle, roll the pancake up from one end – (Like a sausages). 6) Cut into 5 pieces. Roll each piece of dough into a ball, then roll it up like a snail, and roll each portion into a thin circle. 7) Heat oil in a non-stick frying pan over medium high heat. Carefully transfer the pancake dough onto the pan about 5 minutes each side or until golden brown.